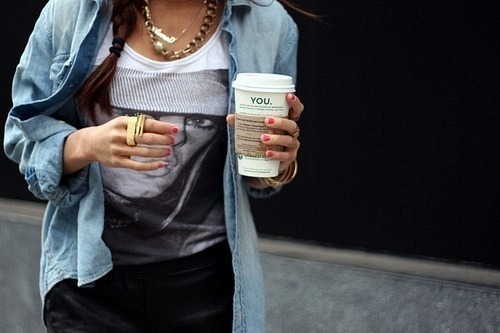 Octobers Very Own: Inspiration: denim! Inspired by some photos on tumblr and my love for it, this article is about denim. Denim jackets, jeans, shorts, dresses, bags, everything is made out of denim. Especially the denim jacket is getting popular this year. I lóóóve denim jackets and I've been looking forever for one, and when I was in Paris I fell in love with one I saw - yes - in the H&M. So I'm going to post some photos that I loove! Enjoy!